Srinagar is a tranquil and picturesque town located in the foothills of Garhwal Himalayas. Tourists can come here to relish the beauty of nature and panoramic views. For a snug stay in attractive tariffs Shreeyantra Tapu Resort is an option one can opt for. A lush and deluxe resort positioned in the foothills of Himalayas en route to Badrinath, Shreeyantra Tapu Resort is a great accommodation for the travellers in Srinagar searching for an affordable and snug sojourn. 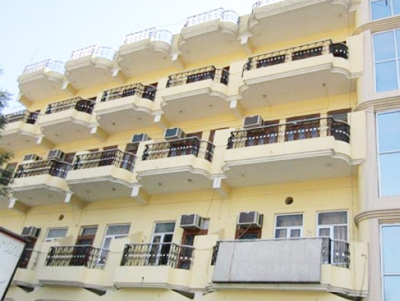 The resort offers top notch amenities and renders a homely stay to the guests. Some of the facilities offered by the hotel are Wi-Fi, banquet, conference hall, electricity backup, laundry, and more. It is equipped with 15 charming air-conditioning rooms that are meticulously designed and tastefully furnished. These rooms are appointed with contemporary amenities such as television, private balcony, attached bathroom, round the clock room service, telephone, and more. In addition to this, the resort caters a wide assortment of lip smacking dishes to the guests. With all the facilities and tender heartedness, the resort renders a revitalizing and refreshing holiday experience in the lap of nature. The resort offers 15 well appointed rooms elegantly designed with wooden furniture. Each room in the hotel offer soothing ambience, thus leave an everlasting impression on the guests. All of them comprise of modern amenities such as Wi-Fi Internet connectivity, attached bathroom with hot and cold water facility, television with satellite channels, etc. Guests can take pleasure of a lavish stay and excellent room service while enjoying their vacation in the hotel.